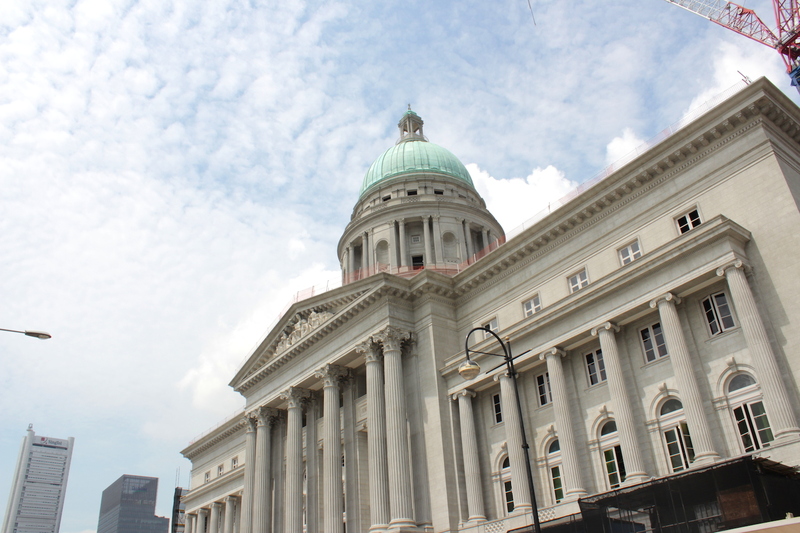 The Old Supreme Court in Singapore – one of the first things new arrivals would have seen as they neared the Singapore Bund. The irony about the concept of (one’s) ROOTS is that while it refers to something static and unchanging – i.e. just as tree roots anchor the tree to the ground, one’s (familial and cultural) roots are thought to be rigid and immovable; the fact is, an EPIC JOURNEY is always implied. Particularly in a city like Singapore (and in fact, most major cities today) where a majority of denizens hail from somewhere else. When somebody makes reference to his or her ROOTS, what is referred to is that often distant place (or places) of origin OVER THERE from which him or her (OR his or her ancestors) had left, in a dramatic fashion, sometime in the past, in order to journey HERE and make a new future. And the mere mention or thought of the word “ROOTS” itself involves a journeying back in time, space, memory and/or imagination to the source of these roots; to the PLACE(S) OF ORIGIN, whether or not one has actually once been there in person. Besides indulging in escapist fantasy (as I had established a few posts ago), another reason for my Grand Tour-ing of Southeast Asia and Beyond is this urge of mine to understand my ROOTS. I suppose it has something to do with crossing that fine threshold called the mid-thirties, which has inexplicably precipitated an urgent NEED within me to figure out just who I am and how I got here. It is a NEED, I might add, that I found my entire country, my Singapore, deep in the throes of negotiating, when I returned from New York in the Summer of 2012. Again rather inexplicably, an entire generation of MYSELVES had decided that it was time to go on a personal journey of discovery. My own journey of discovery, of course, took a very different path than the rest. I decided that what I really need to do was get to the heart of the matter. My question was: where did Singapore come from? What was the larger historical and geo-political context within which Singapore was formed? And how does that still impact Singapore and being Singaporean today? WHY, in other words, AM I ME? I decided that in order to answer that question, I needed not only a journey in the metaphysical sense, but an actual physical EPIC JOURNEY. I decided that to understand being Singaporean, I needed to understand the history of colonialism in Southeast Asia, and even beyond Southeast Asia to China and India. And what better way to do so than to travel to each and every one of them in person, on a multi-year, multi-city Grand Tour of the Far East? What better way to learn about a HISTORY that ultimately led to ME, than to actually re-live it; experience it in person? Each of these COLONIAL PORT CITIES presaged and mirrored Singapore, in terms of how they were planned, developed and administered by the colonial authorities; and also in terms of their multi-cultural and –religious population mix, shaped and fueled by immigration and free trade. Concurrently, Singapore existed within a larger continental maritime trading network that took in ALL of these Asian port cities and linked them to an even larger, global, imperial trade system. Yes, to be politically correct today, one has to acknowledge that IMPERIALISM was not a good thing. Yet one legacy of imperialism is the very concept and practice of GLOBALISATION, and the associated value of COSMOPOLITANISM, which are acknowledged as good things today in and of themselves (more or less). 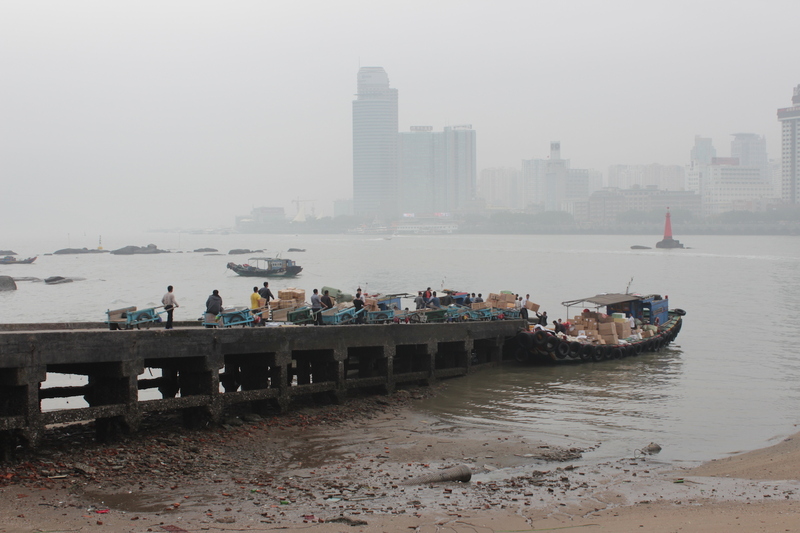 I have since travelled through the port cities of Southeast Asia – this segment of my epic journey is to be imminently published as a coffee table book in Spring 2015 – and almost all of the port cities in China and Japan. And my conclusion in the course of my travel thus far is this: that WE (as in Singapore) were always part of a much larger and far more cosmopolitan (historical) big picture than we remember and give credit for today. We were more integrated with the region and the world, and the region and the world outside of Singapore meant more to us, even at a personal and familial level, than is currently the case. In our journey towards nationhood, we have become somewhat myopic in our outlook. I now understand clearly that I, being Singaporean, am the product of colonialism and imperialism, yes. This is an inescapable fact. But a fact that means I am the culmination and continuation of a history of globalisation and cosmopolitanism. Globalisation and cosmopolitanism are my HERITAGE. To be Singaporean was and is, ultimately, to be a citizen of the world. Another way of conceiving of my global ROOTS: my maternal grandfather originated from Amoy (Xiamen), in Fujian Province, China (and the next stop of my Grand Tour). He would’ve left his homeland on board a small sailing junk leaving from such a jetty. Gallery | This entry was posted in Art & Architecture, China, Cities & Regions, Culture & Lifestyle, Home, Landmarks & History, Singapore, Sociology & Urban Studies and tagged Being Singaporean, colonial port cities, Cosmopolitanism, Discovering one's roots, epic journey, Globalisation, Heritage, History, Place of origin, rediscovery, Roots, Singapore. Bookmark the permalink.